Call me Ginny-come-lately if you like, but I’m finally getting into Mad Men. We got series 1 & 2 on DVD recently and we’re already more than halfway though (no spoilers please!). So now I see what all the fuss is about. It’s not just some flippant little period piece with less substance than one of Christina Hendricks’ bra straps, oh no. But I’m not going to wax lyrical about it – it’s all been said already. 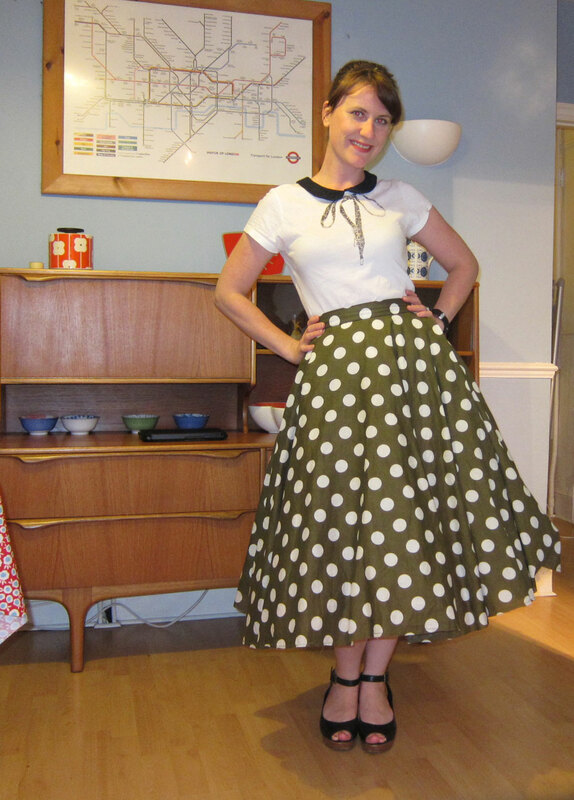 What I will say is ‘hello you little swingy cheeky polka-dot jacket you’, modelled so prettily by Trudy, Pete’s wife. Isn’t it so cute? Inspired by Handmade Jane‘s latest coat project I went off in search of a suitable pattern to bring this little baby to life. I figured as long as I got something in the right dimensions with the Peter Pan collar, I could adjust the front to be a little more curved and swingy. 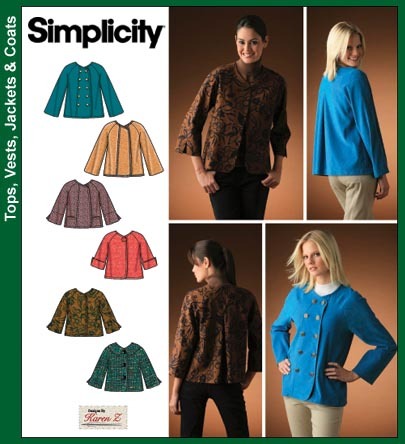 I found Simplicity 4082 for that very purpose. Cover shots aside (hello? can someone call the granny out of Golden Girls and tell her someone’s stealing her style?) this is a very cute jacket pattern and has the possibility of infinite (well alright – let’s say ‘lots of’) permutations. 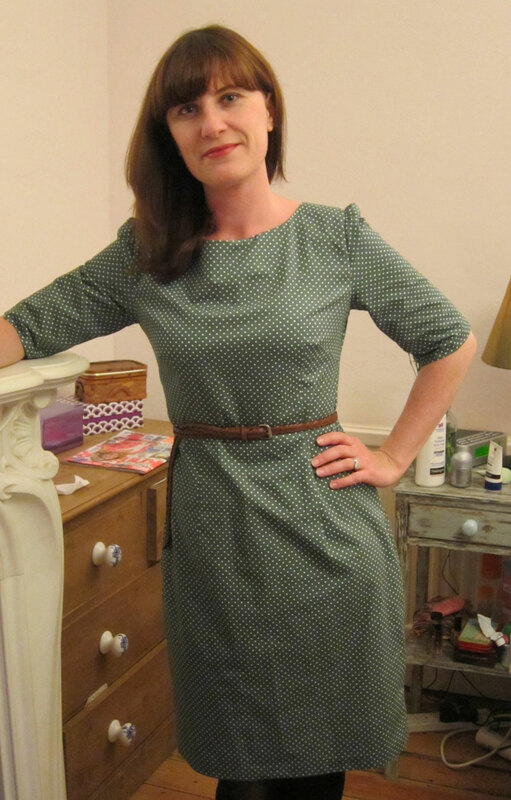 I’m toying with two possible versions: a polkadot (naturally) for a sort of indoors jacket to be worn over a long sleeve top with jeans, and a light coat for spring (or even a mild winter’s day if over a jumper) using the remainder of the teal corduroy I used for the Betty Blue Beignet. I feel it’s a suitable stepping stone towards making my own coat, something which I’d love to do at some point next year. There’s no way I’m ready for it at the moment, and to be honest nor do I feel the inclination to start such a scary project this side of Christmas. So this is good. a) An unfortunate date mix up meant my husband couldn’t come as well – entirely my fault. b) Recent chilly temperatures had given me a case of the dreads. What was I up to? 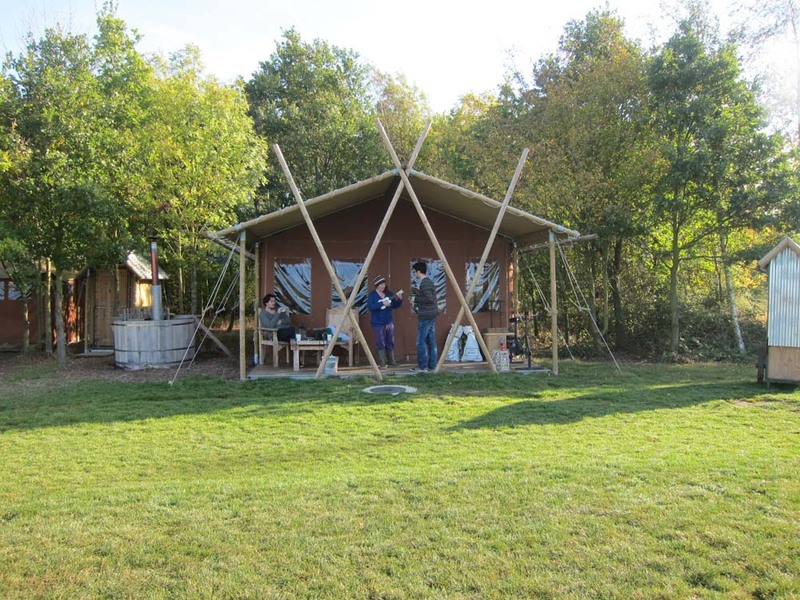 I was glamping! 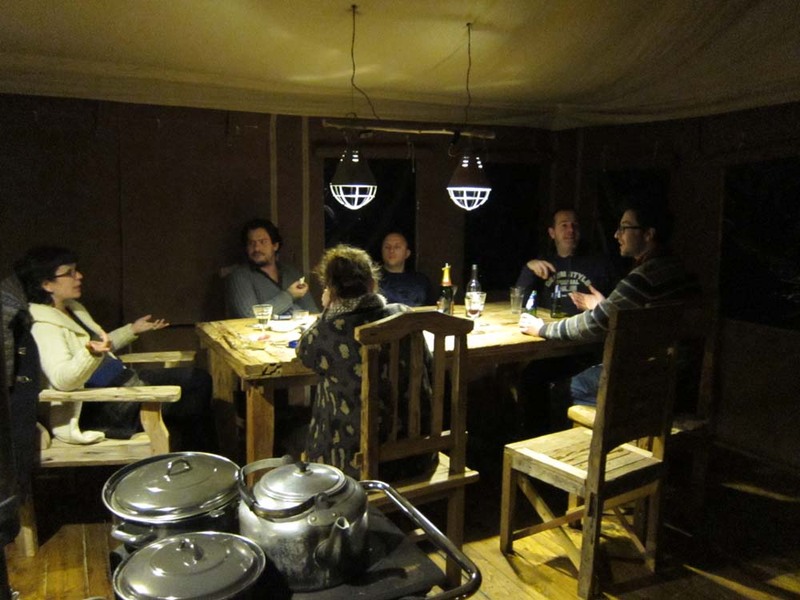 Well, to be honest I think glamping isn’t necessarily the right term for it because it was so much more than that. More like renting a log cabin in the woods. It was sublime. The weather was wonderful, the company was awesome. We played silly games and drank wine like it was going out of fashion. We saw deer, sheep, pheasants, ducks, dogs and more. 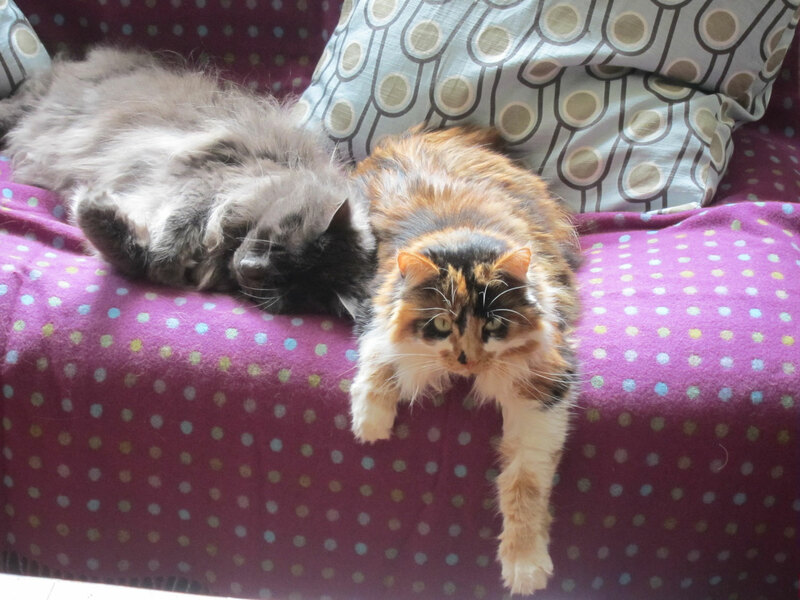 So as you can imagine there was no sewing going on this weekend whatsover. I attempted a spot of crochet but to be honest the views and craic just distracted me from it and I quickly gave up again. I am determined however to get back into my sewing regime this week. 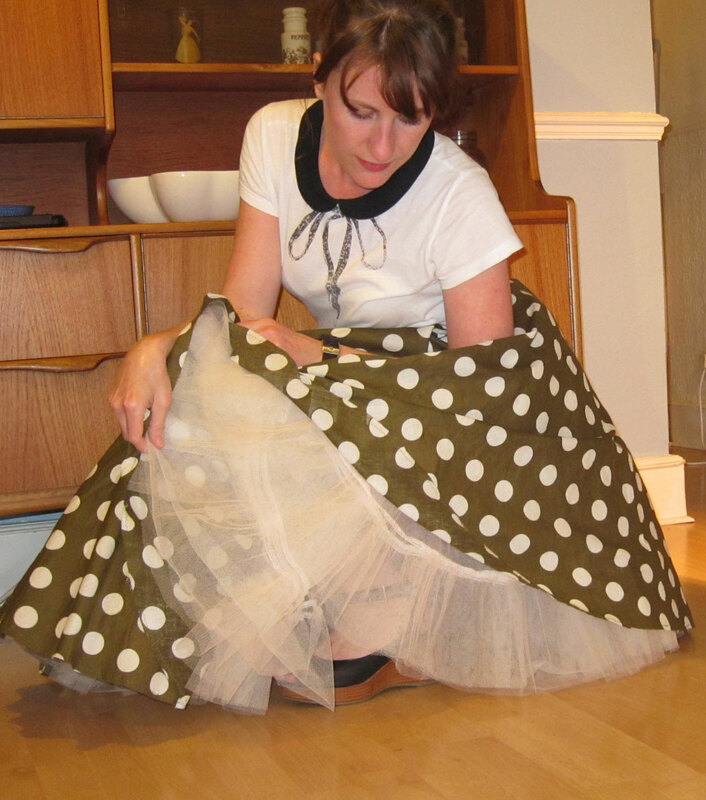 I still haven’t decided whether to make a simple calico muslin for McCalls 2401 or make yet another wearable muslin. You might recall I did a wearable muslin for it a while back, but had some fitting issues which I sorted out on the fly. Ideally I’d like to get straight into making the real thing with my vintage Liberty silk but I’m scared that I’ll not update the pattern correctly (this will be the first time I do this) and the fit will be all wrong in a different way. 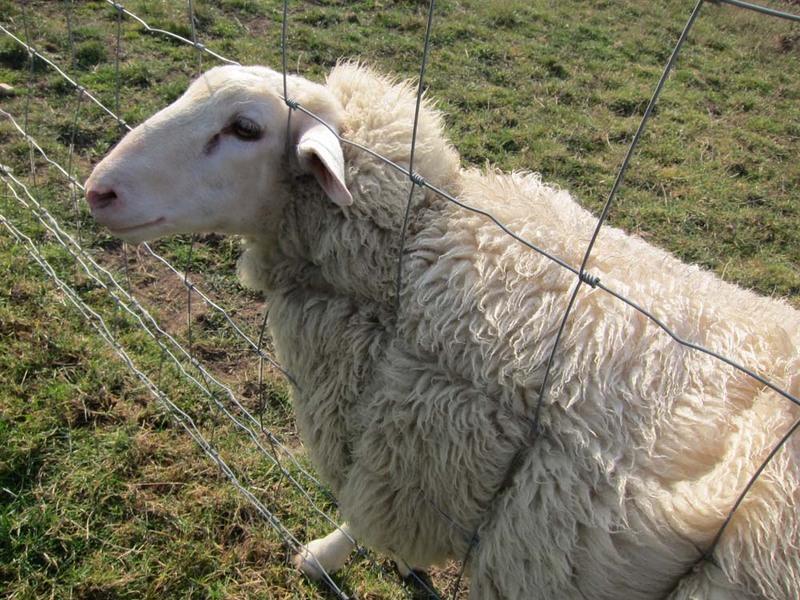 But then again… there are only so many 2401s a country girl can wear. 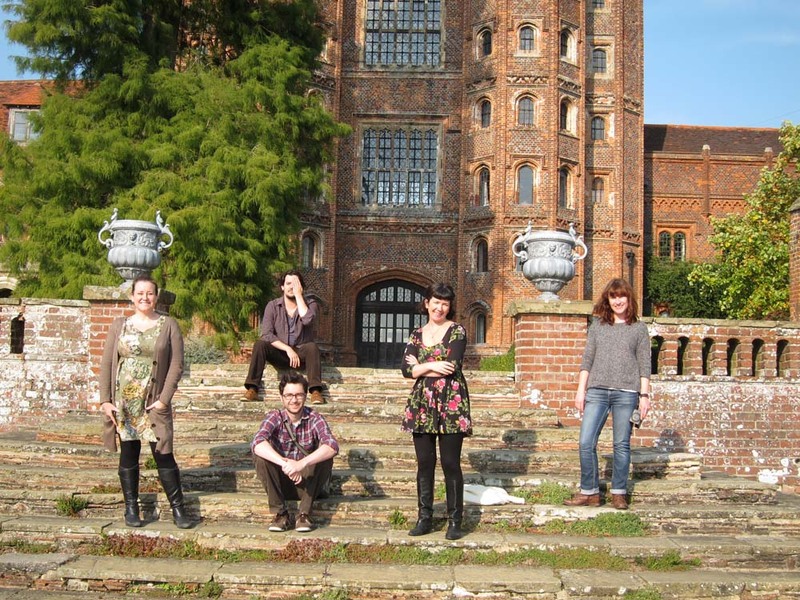 And I’m itching to get onto the Peony as well… ooh what to do, what to do? Any advice? I’m paralysed with indecision! Because time has been such a precocious imp, my sewing has pretty much stalled in the last week. And I’m away this weekend so there won’t be much more done. 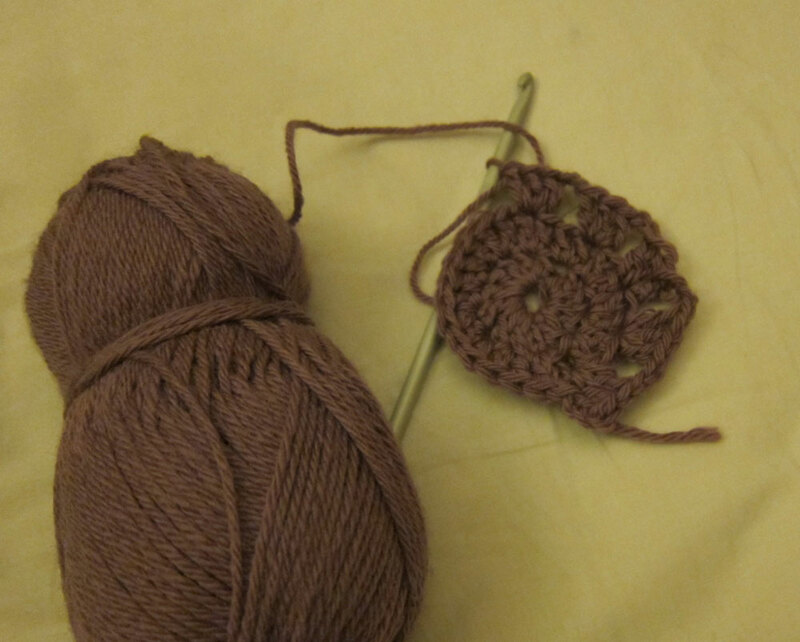 But I did manage to practice a bit of crochet this week – here’s the big reveal! Oh it feels like I’ve been away for ages! 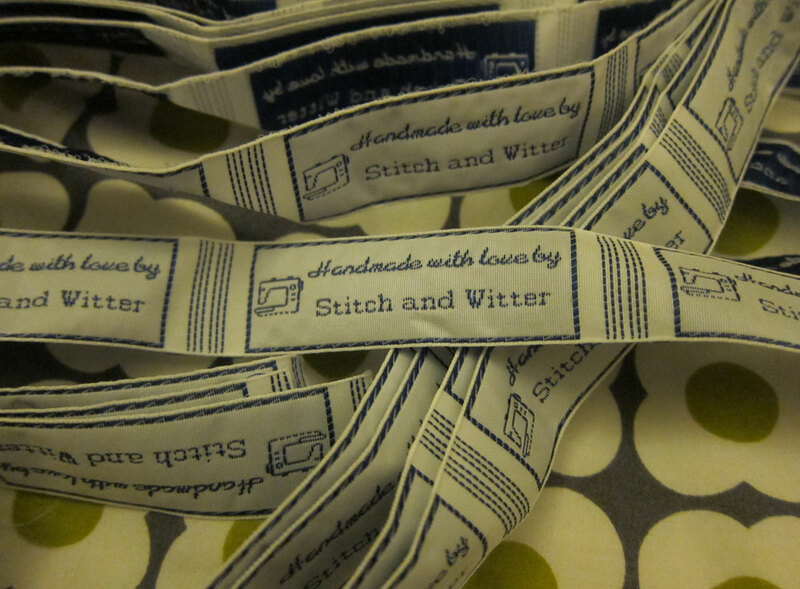 I’ve not been far, I’ve still been reading all my favourite blogs and I’ve even been doing a bit of sewing. But I had my lovely sister and nephew over for the weekend so there wasn’t much time to witter in between trips to Doctor Who and the London Aquarium. 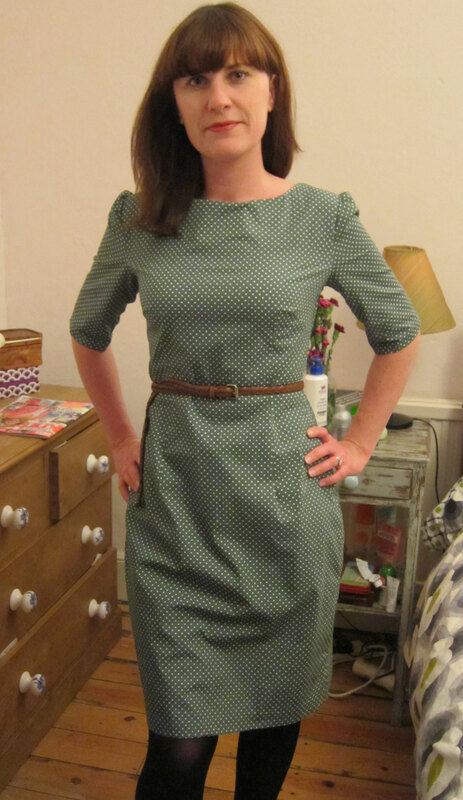 Although this was a fairly simple dress to make, I had some issues with the fit. 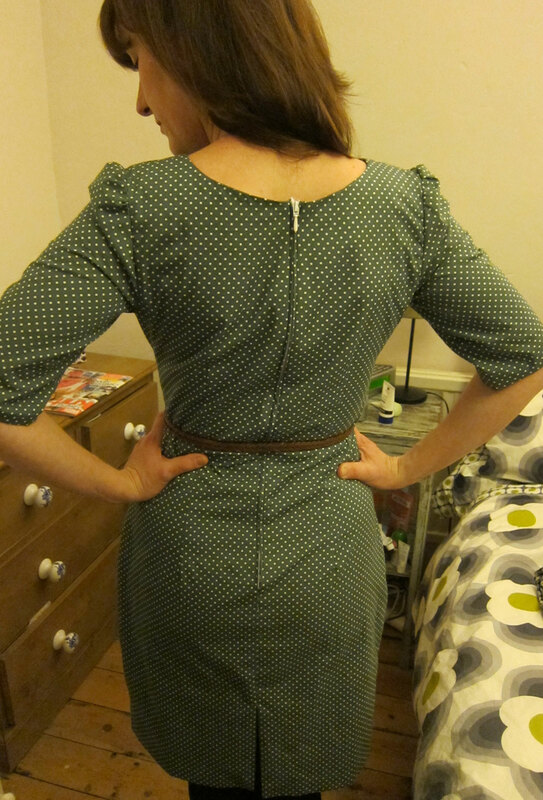 I cut a size 12 which ended up giving me a huge gape at the back – only discovered after inserting the zipper, d’oh. I then had to unpick the entire zipper and add about an inch extra seam allowance on each side. I’m still wondering if I should take it in a tiny bit from the hips downwards. There’s an awful lot of creasing going on in these photos as well – which isn’t as apparent in real life but will cause me some worries if I wear it to work or whatnot. Would a lining reduce this, does anyone know? Or a slip? I really like the back darts – they definitely make your back waist look good. This is a total illusion! I’ll have to transfer my changes to the pattern, or at least see if a 10 will fit better before I make another one. 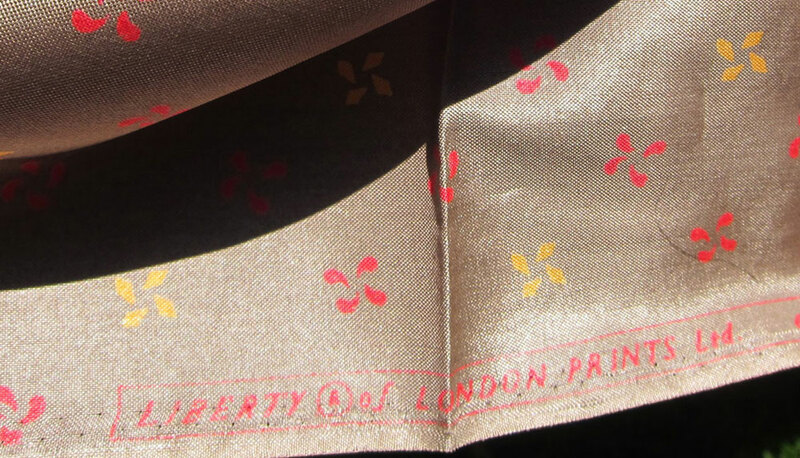 I plan to make another wearable muslin, iron out any details and then go for it with the vintage Liberty silk I got at the North London vintage fair a couple of weeks back. 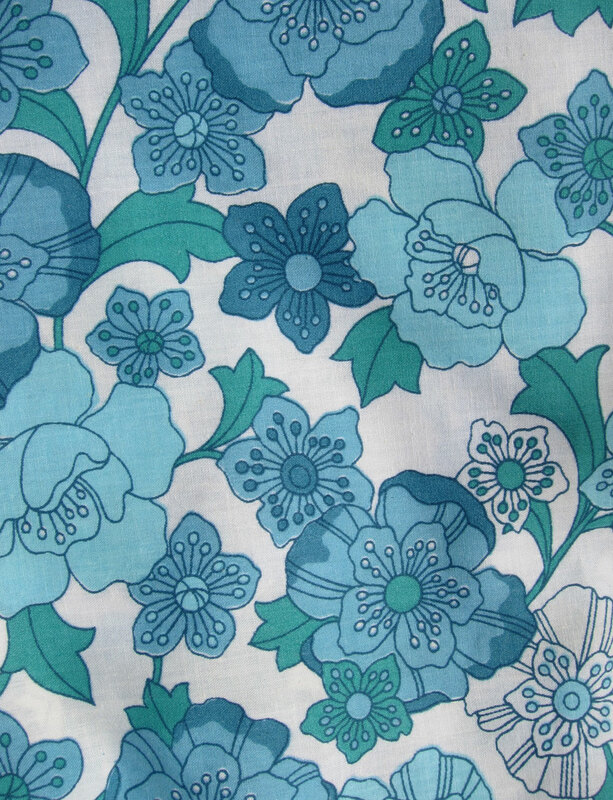 I’ve also got my Ginger and my Peony patterns now – am itching to do the Peony. It’s such a gorgeous style. What’s on your sewing table? Oh hello! How are you? D’you come here often? Yes I’m here for Casey’s circle skirt party too, how divine! Do you like my skirt? Not sure about the decor in here – I think we’re jarring. Isn’t that sideboard a little futuristic? Never mind – let’s bee bop! We’re some cool cats y’know. All hail the queen of the circle skirt Casey and her fabulous sewalong. Well, how on earth else will I get wear out of my wedding dress petticoat? Now I just have to get me to a swing dance. Och, I’m a sucker for them. Just put the words ‘vintage’ and ‘market’ together and I Snoopy-food-float towards it without even thinking. As was the case on Saturday when I discovered a vintage market was taking place not more than 20 minutes from my own front door. Well, reader, could you blame me? And I’m so glad I did. Because not only did I manage to pick up some amazing fabric (more details below) I also caught up with Carrie of Oh So Retro who I bought my seventies sideboard from at the last market. It was missing the sliding smoked glass doors and I just presumed they’d been broken/lost over the years. But Carrie spotted me and remembered that she had the original glass under the seat in the van! Amazing. Could you get any more serendipitous? But onto fabric-related goodness. From the same stall I managed to snaffle not just this fabulous sixties peg bag for £2. But also this rather lovely double sheet for just £4. I hope to use the fabric for a wearable muslin, perhaps for the Colette Peony which arrived today in the post along with the Ginger. Hooray for posties everywhere! 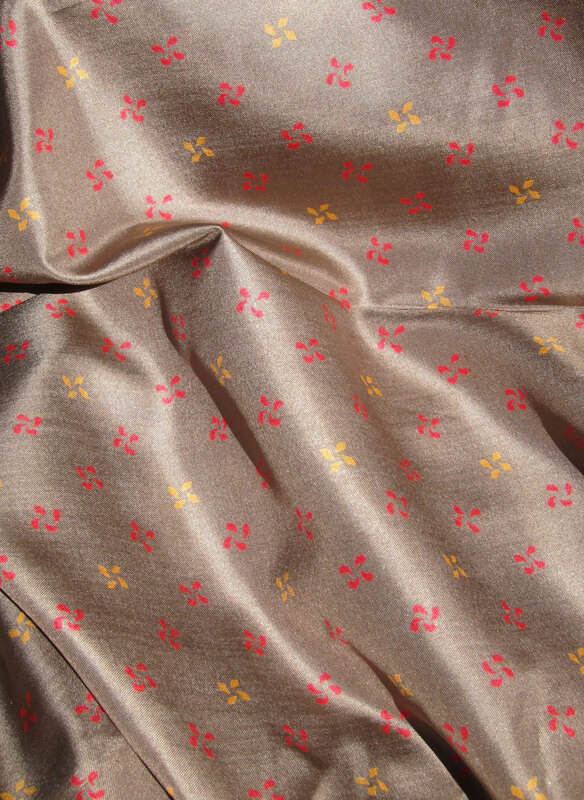 But what really attracted my attention was this gorgeous pewter fabric with little starry flowers sprinkled across it. 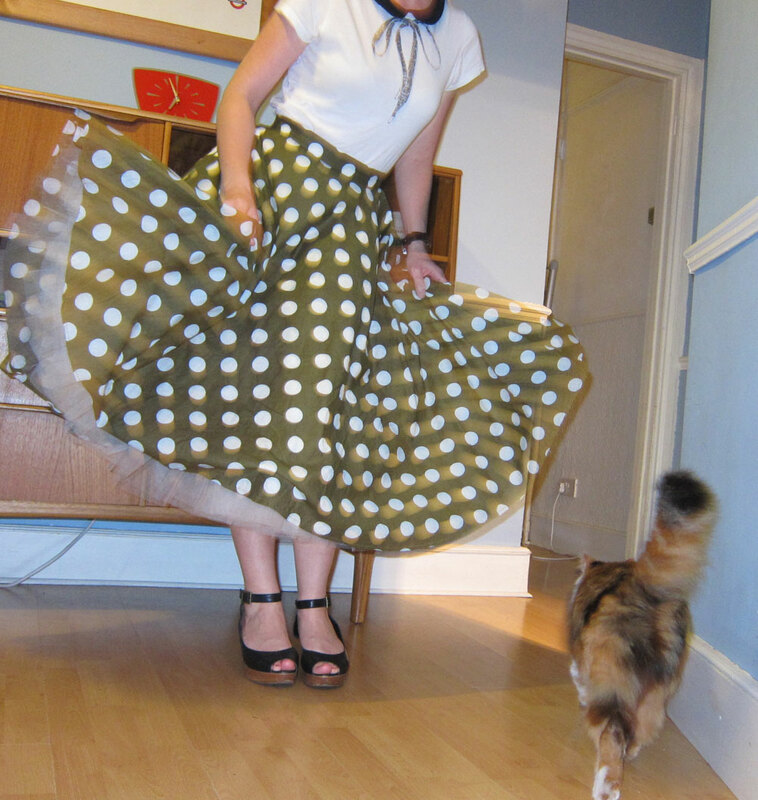 Further inspection revealed it was actually vintage Liberty – oh my. It was also 5.5 metres long and 90 cm wide and was going for a bargain £15. Well you know what happened, don’t you? Still not sure what kind of fabric it is. The lady on the stall said it was silk but to be honest (though I am far from a fabric boffin) it doesn’t have that slippery softness of silk. Is there such a thing as a silk/polyester mix? Any fabric afficionados able to guess the fabric just by the photograph? No information on the selvedge either other than this marvellous little Liberty logo. I have plans for this fabric. I’d like to create either the McCalls 2401 (View E) or the Colette Peony using it. In fact I may be able to squeeze both out of it as it’s so long. I’m currently making a wearable muslin of the 2401. I’ve had some issues with the fit across the shoulders (resulting in a huge gape at the back which had to be taken in) so I want to adapt the pattern and try again with another wearable muslin before I cut into this wonderful fabric. Exciting! Self-Stitched-September has ended. Gone are the mornings of trying to figure out how to wear that skirt again and make it look different this time. Gone is chasing the husband around the flat with a camera at 7.30am shouting ‘Please take my pic now!’/’Don’t make me look fat!’/’That’s terrible – take it again!’ <insert yours here>This was my first attempt at one of these hugely popular events, staged by the fantastic So Zo… When I signed up and hesitantly proudly displayed my pledge on the blog, little did I know what I was letting myself in for. I barely had enough self-stitched clothes to last me a week, never mind thirty days. So most of the first two weeks of September were spent hurriedly pumping out smock tops like a first world sweat shop. (But they stood me in good stead, so thank you smock tops – you were my wardrobe saviours.) My beignets were another gift when it came to putting outfits together – they’re so easy to team with tops. And tights. And bare legs as I discovered at the end of the month when the UK experienced an Indian summer. Infinitely versatile. What didn’t work so well? 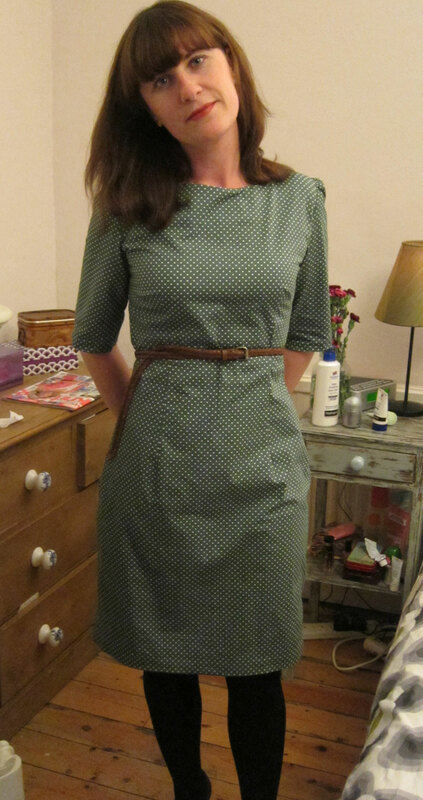 Hmm – one of my first attempts at dressmaking – an orange and brown sixties style shift (day 28). 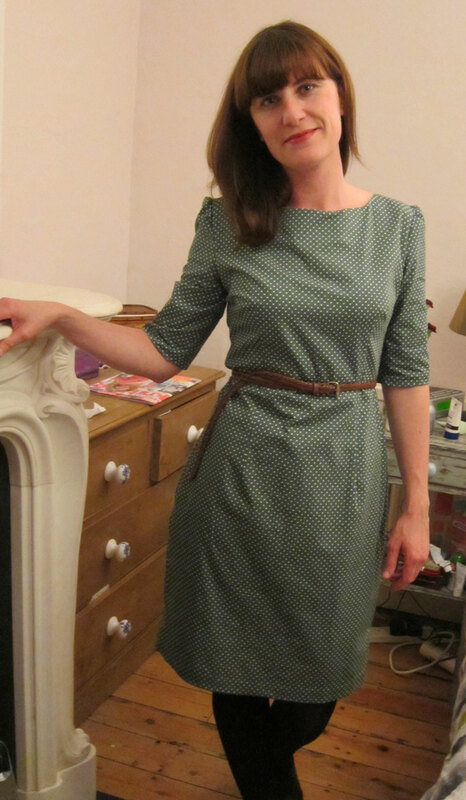 I made it by drawing round an outline of an existing dress, cutting two pieces out and sewing them together. Yes, cavewoman stylee. I’m surprised I didn’t drape a cat round my neck for warmth and club my husband for nuptials. Unsurprisingly the dress is shapeless and uncomfortable to wear. But it provides a useful reminder to us all as to why the great seamstress in the sky invented darts. An early Sorbetto (day 20) made me feel and look grey but I did get some great feedback from Portia and Karen on attempting another one now I have some more sewing experience under my belt. I know this sounds silly, and of course we all wear old favourites from our wardrobes without giving a hoot as to whether they’re in Grazia this week or not. But by wearing outfits that are distinctly not purchased as part of an ‘Autumn drop’ at Topshop or churned out by the squillions from H&M, I did feel like I was very much going against prevailing notions of how to dress. In fact, at the beginning of the challenge I was convinced that someone would shriek at me in the street, finger pointing and face aghast ‘You MADE that? And you’re wearing it OUTSIDE? ?’ You’ll be glad to know that feeling eased off after a while. 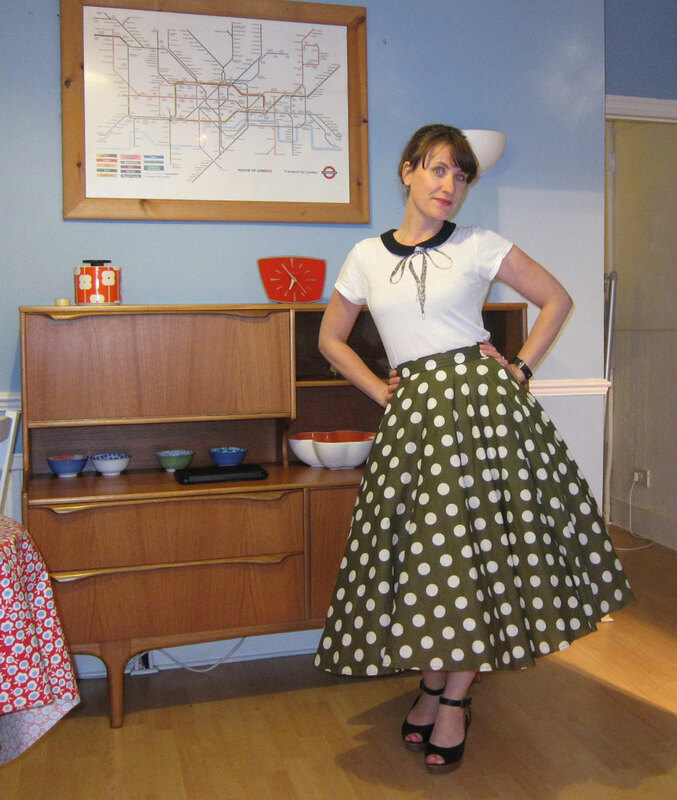 Who cares if your style is crazy fifties housewife (gin and G-plan) with a dash of Edwardian glamour. Work it. During the challenge I found there were certain things I really liked that I didn’t realise: nippped in waists with big belts, any print with an animal on it, peter pan collars. 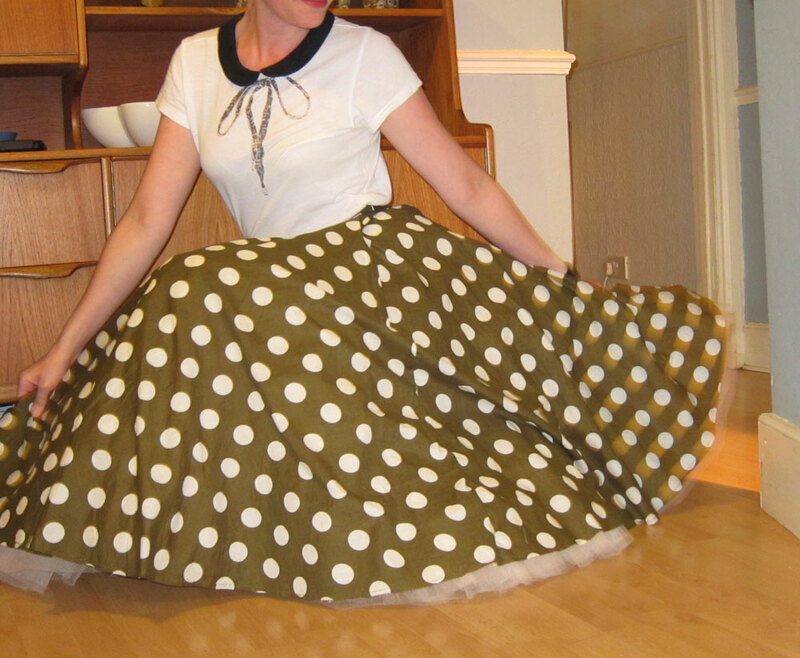 I already knew I loved polka dots in a big way but woah – how I do love those polka dots. They just call out ‘oh hai, join us for teh fun times!’ to me. I think there is some ‘inner style’ realisation at work here but it’s yet to fully crystallise into a ‘look’. But that’s half the fun surely? God this has turned into a bit of an essay. And no pics to break it up! Oh alright then – here’s one I made earlier. Hope those of you who did SSS’11 enjoyed it as much as I did, and perhaps I’ll see you next year…?